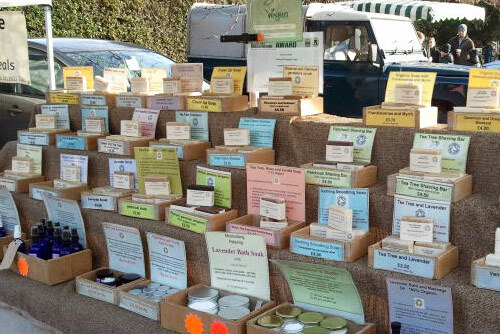 We went into town to buy our food shopping last Sunday and stumbled across the Farnham Farmers Market. We’d only lived in Farnham for 3 weeks at the time so we’d never had the opportunity to go. 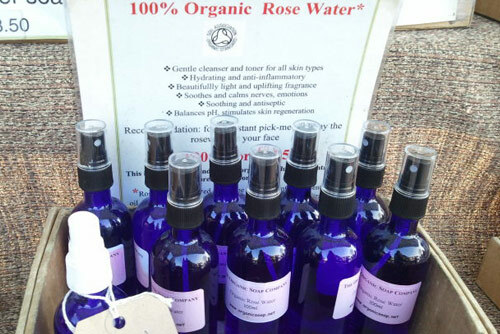 The market takes place in Farnham on the fourth Sunday of every month. 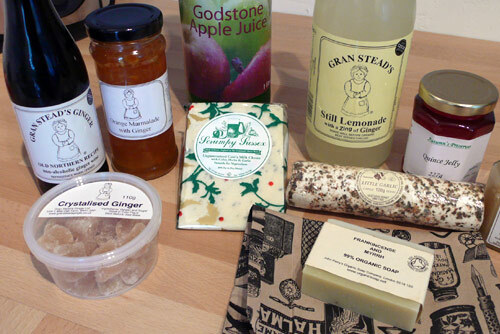 You can buy goods direct from the producers from surrounding areas including Hook, Sandhurst, Guildford, Shacklesford and Liphook. Above: Lemonade, non-alcoholic ginger beer kit, garlic cheese, scrumpy and garlic cheese, quince jelly, honey, apple juice and soap! 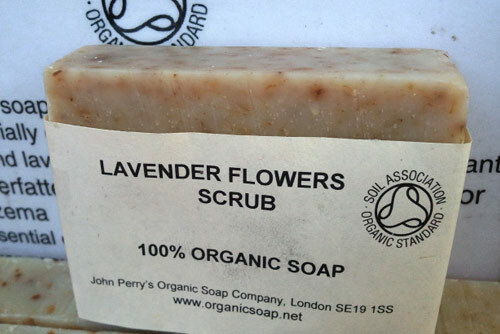 One stand in particular caught my attention – John Perry’s Organic Soap. I am a complete sucker for handmade soap so couldn’t resist a look (and a purchase!). All of the soaps are Soil Associations Organic and Vegan Society approved. Each bar of soap is handmade in a small batching using the cold process method. Their soaps contain no animal derived, synthetic, preservative or GM ingredients. 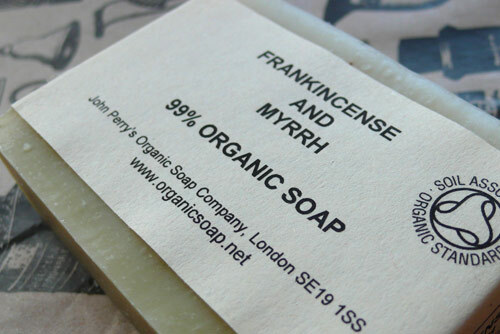 My purchase was a bar of Frankincense and Myrrh Soap which I was told they make once a year. Very Christmassy! If you fancy popping along, the good news is that you don’t have to wait a whole month until the next market. The next one is being held slightly earlier for Christmas, on the 12th December in the Central Car Park in Farnham, off Victoria Road.